If you were one of the 180 injury victims, or loved one of the 14 people who died as a result of Takata’s exploding airbags, the chances are good that you were thrilled in February when you learned that Takata would pay $1 billion in compensation and fines – because finally, finally, the manufacturer would be held accountable. 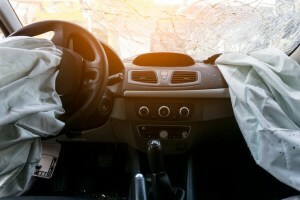 Then, in May, four of the largest auto manufacturers agreed to a $553 million settlement for the class action lawsuit against them for using those airbags, and you may have cheered again, because finally, finally, someone was taking responsibility. We were happy for you, too. We were happy justice was going to be served, and that there would be some accountability for all of those terrible and tragic accidents. So of course, Takata declared bankruptcy. Every move they’ve made has been to protect themselves and make more money for their company and its shareholders; it should be no surprise that they would take this step, ensuring that they would pay out as little as legally possible to the people and families they hurt. Takata filed for Chapter 11 on June 25, 2017. It is dismantling itself piece by piece, selling off some of its holdings to Key Safety Systems for $1.6 billion. That money will go, according to the New York Times, “to pay down its debts and settle legal claims.” But Takata’s liabilities fall between $10 billion and $50 billion, and the recall itself will likely cost more than $10 billion – so what is left for the people who were hurt? Nothing. Nothing will be left. And once again, a major global corporation will get away with gross negligence that left injuries and deaths in its wake, and the victims will be the ones who pay. What about the defective parts? A small part of Takata will remain in operation to manufacture new airbags, though problems will arise if another defect is found after this last existing portion of the company closes down. Ultimately, though, the auto manufacturers themselves will be forced to foot the bill. Money has been set aside by many of the manufacturers to cover the cost of the recall, and Takata still plans on paying the $125 million in compensation it promised the U.S. government. So, if your car was subject to a recall, you can still have the defective part fixed for free. Is Your Vehicle Included in Deadly Takata Exploding Airbag Recall? Our hearts go out to Takata’s victims, who will be hurt all over again by this bankruptcy. It’s unfair, it’s unjust – and unfortunately, it’s perfectly legal. But it’s not right, and we know it. The Rocky McElhaney Law Firm is a premier personal injury firm serving clients in Nashville, Gallatin and Knoxville, and throughout middle Tennessee. If you were hurt because of someone else’s negligence, our Gladiators in Suits will fight for you. Please call 615.246.5549, or fill out our contact form to schedule a free consultation with one of our experienced Nashville product liability lawyers today.